Attack on what now? Shingeki no... kyojin? 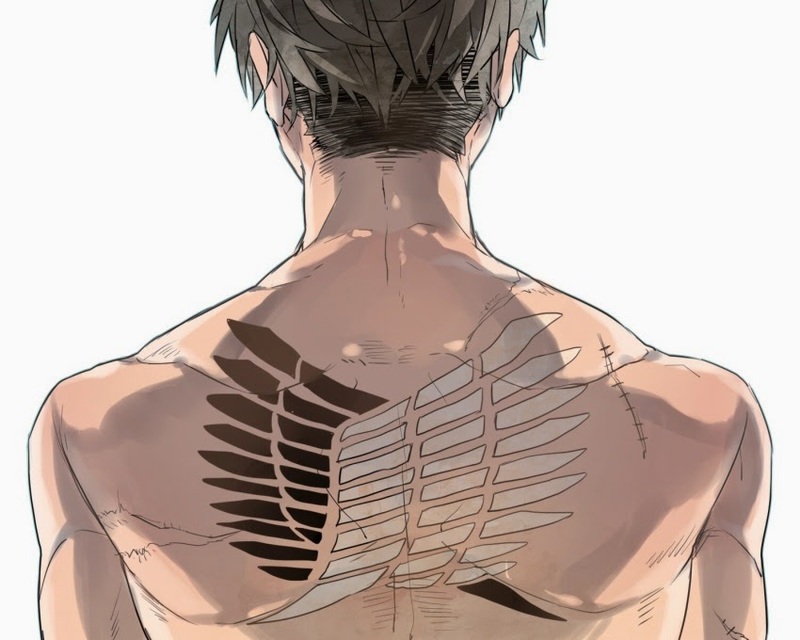 That's one mighty nice tattoo, Levi-senpai. How many of you loyal Otaku Reviewers readers out there are fans of Attack on Titan? Everyone and their mother are hungering for more medeival/high tech/horror fantasy action centered around Eren's desire to kill all Titan and revenge his mother, along with a rag-tag bunch of kids who just so happen to die at the hands of these beasts every now and then. While I love Attack on Titan, I have abstained from the manga, because like most other fans of the series I joined when it became an anime. And I'm addicted to the choreographed action scenes and flashy effects. So my viewpoints in this post may be a little antiquated for those who know all the spoilers/intricacies of the manga! Anyway, there is an OVA to satiate the hunger, the desire of more Attack on Titan, one that goes into Levi's backstory! It's called "No Regets" or "Birth of Levi" and you can most likely find it online to stream, if that is something you are into! This is not a review of the OVA, but more of an investigation on Levi's character. 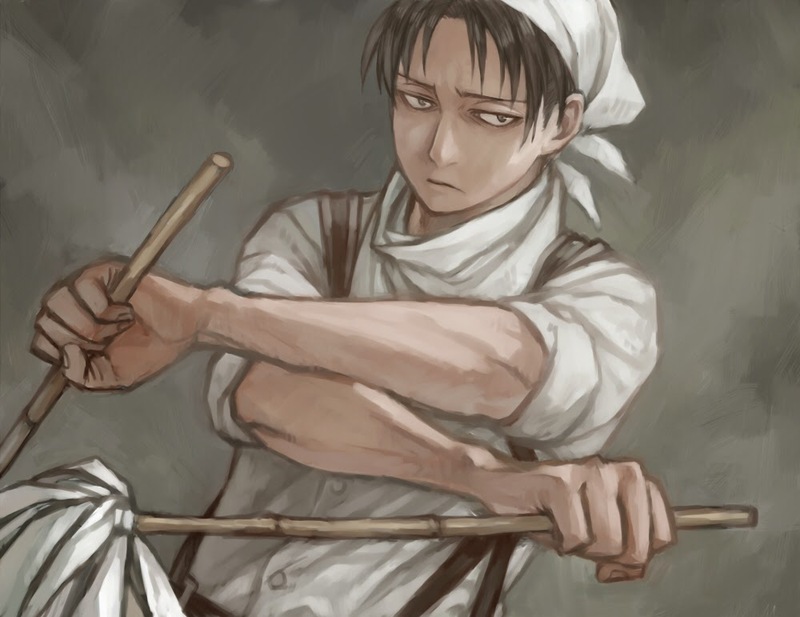 You already know from our Weird anime figure post that Levi has his comical side, as he is a neat freak and is caught cleaning in a ridiculous maid outfit from time to time. But this guy, a seemingly cruel ablutomaniac and germophobe, a man who has reached the pinnacle of 3D Maneuverable Gear manipulation, and powerful ally to the Survey corps is constantly shown with his heart of gold shining through. While this isn't a bad thing, the anime community is not in want of bad-asses with hearts of gold, silver, platinum stars, or what have you. Then why, do we ask, makes Levi such an interesting character?! His backstory, while incomplete, is a promising snapshot into that reason. 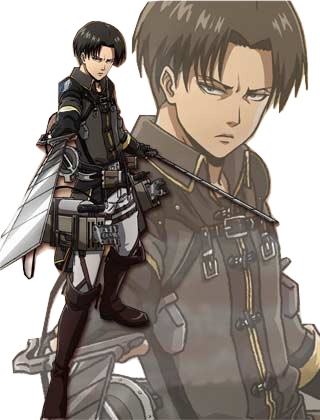 First looking very 2 dimensional, the OVA "No Regrets" shows a side of Levi that no one has yet seen in its purest form: Levi's weakness. The ultimate titan slayer, while he does suffer injuries constantly for the sake of his allies, does not show pure weakness outside of the OVA. 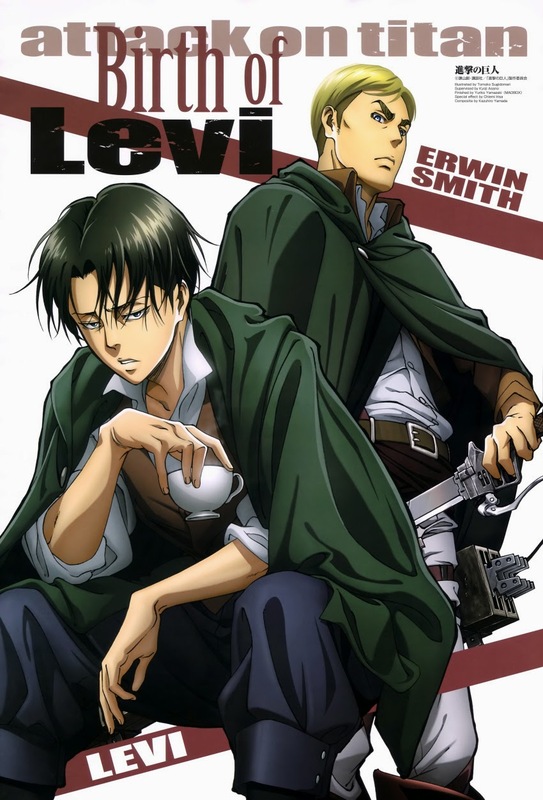 It is Erwin Smith that teases this out of him, and for very interesting reasons (without spoiling the plot!). They may be on good terms in the anime series, but that might not have always been the case!